Surface Integrity describes the influence of surface property and condition upon material performance. 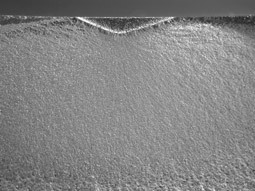 It has long been known that the method of surface finishing and the complex combination of surface roughness, residual stress, cold work, and even phase transformations strongly influence the fatigue and stress corrosion behavior of materials. The influence of surface finishing is most pronounced in the high strength alloys, which are typically chosen for the most critical applications. Lambda provides a comprehensive selection of testing and engineering services for design of manufacturing processes to provide optimal residual stress, cold working and surface finish. Processes such as grinding, milling, turning, broaching, welding and heat treatment can be optimized to provide superior component strength. Surface enhancement processes such as shot peening, low plasticity burnishing (LPB®) and laser shocking can be optimized to provide improved fatigue strength, damage tolerance, and stress corrosion cracking resistance. 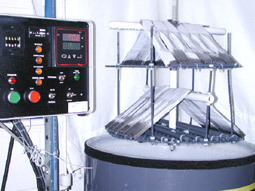 Fatigue testing is required to characterize the influence of residual stress and cold work on fatigue strength. Lambda has both high cycle and low cycle fatigue testing capability specifically developed for measuring the effect of residual stress on fatigue strength and damage tolerance. 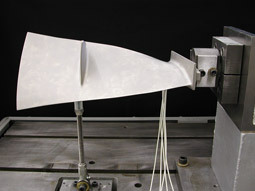 Fatigue tests can be conducted on full components or feature specimens. High cycle and low cycle fatigue testing for characterization of residual stress influence on fatigue strength and damage tolerance. 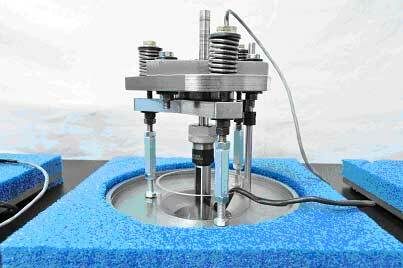 Design and manufacture of fatigue test specimens and fixtures. Custom designed fatigue specimen geometries for measuring the effects of high compression on fatigue strength. Up to 10,000 lb capacity high cycle fatigue and 50,000 lb capacity low cycle fatigue machines. Video capture of crack propagation. Bearings are used in a significant number of critical mechanical systems. The useful life of these systems is directly related to the fatigue strength of the bearing. Rolling contact fatigue (RCF) is a leading cause of bearing failures. Parameters such as residual stress, retained austenite, surface finish, and lubrication type play a significant role in rolling contact fatigue. 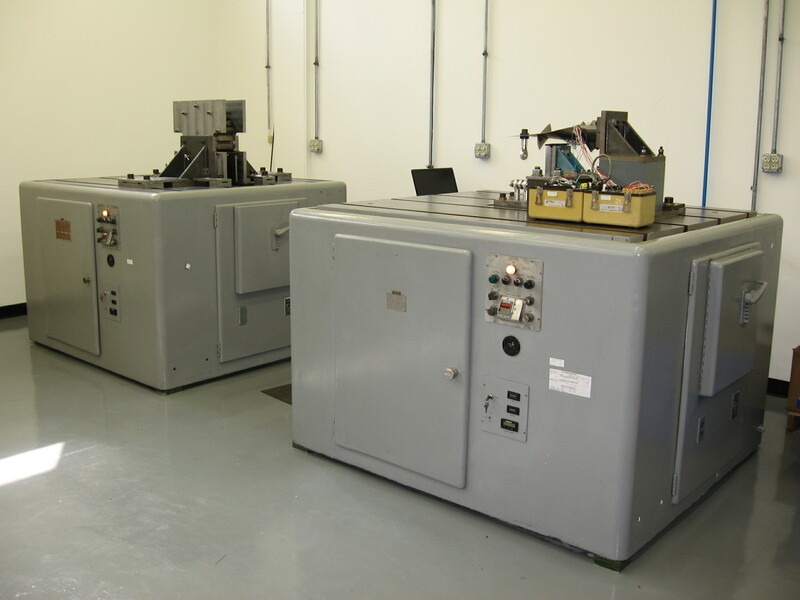 Lambda provides rolling contact fatigue testing for the study of bearing performance. Using a ball-rod type RCF machine system built by our engineers. Lambda designs and conducts bearing fatigue tests to aid in the optimization of bearing system parameters, material properties, and fatigue performance. Stress corrosion cracking (SCC) is a serious metallurgical problem facing many industries including nuclear, aerospace and power generation. A combination of a susceptible material, corrosive environment, and tensile stress over a threshold limit will result in SCC. Machining, welding and other fabrication processes can produce high tensile residual stresses and cold working in the surface and near surface material of critical components providing the driving mechanism for SCC. Surface enhancement processes can be used to mitigate SCC by eliminating the tensile stresses. Lambda provides stress corrosion cracking testing services to measure the effect of machining and surface enhancement methods on SCC mitigation. Numerous test fixtures for simultaneous testing of multiple specimens. Instrumented load bolts for continuous computer monitoring and recording of load versus exposure time. Custom corrosive solutions for simulation of specific environments. In-house manufacture of test specimens. Surface finish, cold working and residual stresses can impact the general corrosion characteristics of components. Lambda provides alternate immersion testing to characterize the influence of a surface finishing or machining process on the general corrosion properties of components. Alternate immersion tests per ASTM G44. Large holding rack for multiple sample testing. Evaluation of corrosion pit size and frequency versus exposure time. Optimization of machining or surface finishing process for minimal corrosion. 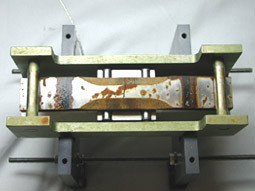 Lambda Technologies employs a unique method of polarization testing using a custom electrochemical cell to evaluate the corrosion behavior of materials and surface treatments in a given electrolyte. Polarization testing is a rapid form of corrosion testing yielding results in a matter of minutes or hours and allows for observation of corrosion behavior over a wide range of oxidizing conditions in a particular environment. Ability to study individual mechanisms of corrosion. Ability to study effect of polarization under load. Lambda provides metallographic analyses to determine fatigue initiation sites, corrosion damage and other features relating to component failure. 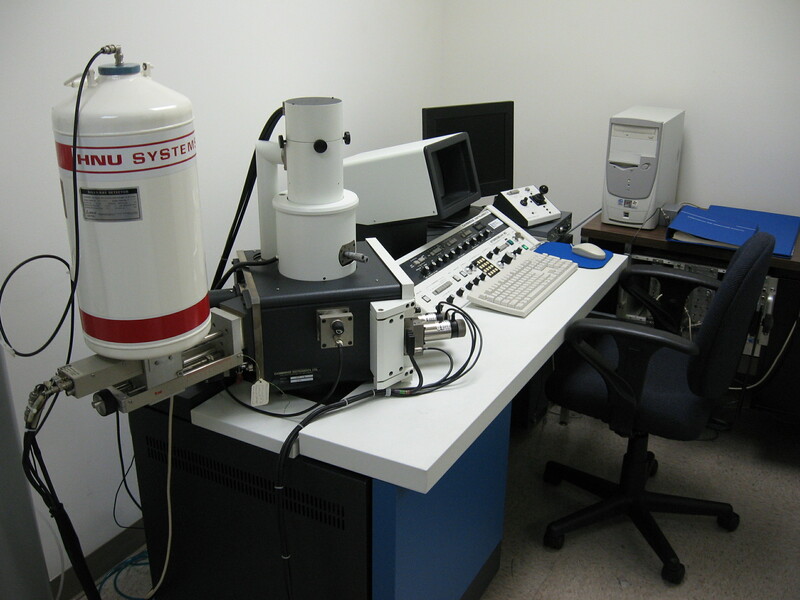 Both optical and scanning electron microscopes are available for an accurate assessment of the failure mode and location. 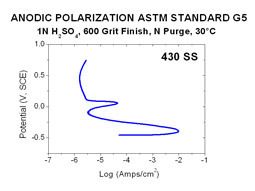 Fatigue striation counting for approximating applied cyclic stress. Support of process optimization studies. Fretting damage and micro-crack analysis.